International Pool, Spa And Patio Expo Is Huge Success In Las Vegas! The 2015 Pool, Spa And Patio Expo was held this week in fabulous Las Vegas, Nevada, USA. The Expo was at the Mandalay Bay Hotel & Casino Convention Center. The annual trade show exhibit hall was open Tuesday November 10 through Thursday November 12, 2015. Numerous educational classes and programs were also held at various locations throughout the week. Thousands of attendees from the swimming pool, hot tub and backyard industry were there to check out all the new 2016 products offered by literally hundreds of manufacturers engulfing the entire Convention Center floor. The mood of the show was very upbeat, with most exhibitors and attendees reporting that 2015 had been their best year since the Recession. 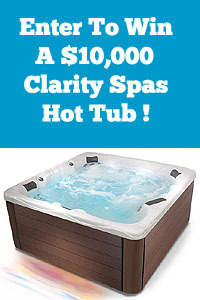 With most Hot Tub Manufacturers & Dealers reporting double digit sales gains in 2015, it is not hard to see why everyone was so happy. 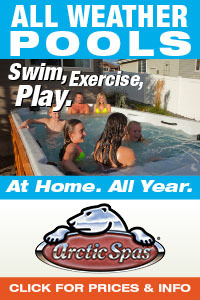 Although Swimming Pool sales have not been as robust as many would have hoped, they are moving in an upward direction. A vinyl and polymer Pool Manufacturer said “I am generally pleased with the number of Pool Guys I have spoken to at the show this year. We have gotten a great deal of positive feedback showing our new product lines, and have signed up quite a few new dealers as a result of this show. There seems to be the kind of excitement and happiness to their mood that I remember from the boom years of 2002-2008. I think things will really open up for the Inground Pool builders in 2016, provided that everything stays on track with the housing market and the economy” he added. One of the notable things about this year’s Expo was the large amount of floor space devoted to backyard, BBQ and patio products. Almost 25% of the entire show floor was dedicated to everything in the backyard/patio industry. An outdoor kitchen/backyard retailer from Florida said “I am very pleased to see this large amount of exhibitors solely displaying outdoor kitchens, fire pits, gazebos, backyard lighting and outdoor furniture”. While all that may sound great, some Swimming Pool Dealers seemed a bit afraid of the rise, albeit a slow one, of the Swim Spa in this industry. 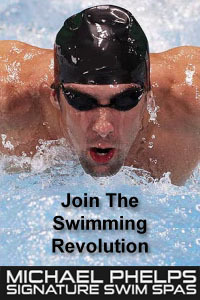 But there are two sides to that coin regarding the market penetration of Swim Spas. This year there were many more Exhibitors displaying accessories for Swimming Pools and Hot Tubs as well. There were many new kinds of Pool & Hot Tub covers, lighting, waterfalls, cover lifters – and many new types of Pool & Spa chemicals, spa steps, backyard umbrellas, alternative sanitizers, water testers and the like. “As a Pool & Spa Dealer for over 20 years, I really appreciated the fact that there were so many new add-on’s available at this show.” says one Dealer from Utah. He echoed the same sentiments of many of the Pool & Spa store owners at the Expo. It seems like many brick and mortar store owners, as well as a lot of Internet retailers, were extremely interested in all of the new aftermarket items that were on display at this year’s IPSPE show. While many are focused on that elusive high-end market, some Manufacturers are quite happy enjoying sales increases by partnering with several Big Box Brick And Mortar chain stores, as well as popular Online shopping sites. 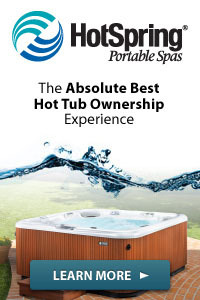 Bullfrog Spas Features Their Stunning New Hot Tub Design At 2015 IPSPE. Overall, the 2015 International Pool, Spa & Patio show was considered to be a great success by most of the folks involved. “The convention hall venue at Mandalay Bay is perfect for this show, compared to some of the other places they have held it in the past” said one New Jersey Exhibitor. “Having the show in Las Vegas is always our favorite. Being from the East Coast, it is a terrific way for us to connect with many of our West Coast dealers. Plus Las Vegas offers a lot of other things to do after the show. And you know those “other things” are why a lot of people like the Vegas show the best!” he joked. 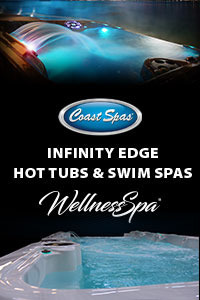 Next year, the Pool & Spa Expo will be held in New Orleans. The Convention Center there is also very nice. Although many people said they prefer the Las Vegas location for the November show, most indicated that they will be sure to check out the New Orleans event location next year as well! Artesian Spas showcases this 2016 prototype portable hot tub with spa-side table unit.